Home » Life Style » Healthy Eating » How to Make a Great Cup of Green Tea Before Bed? 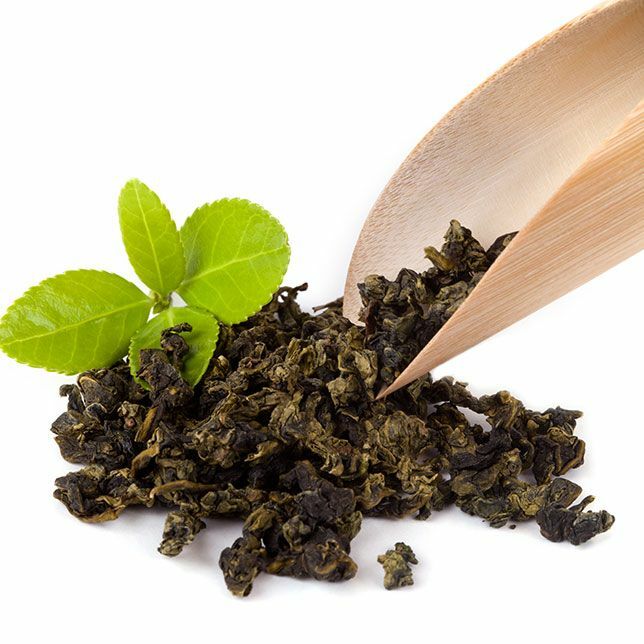 Green tea, scientifically known as Camellia sinensis, contains an amino acid called L-theanine and polyphenols such as catechins. These two substances play a significant role in sleep and relaxation without sedation. Catechins belong to the group of polyphenols that provide the taste in tea. These polyphenols are believed to be anti-oxidants and anti-inflammatory agents. By weight, the tea is estimated to be 20 to 45 percent polyphenols of which 60 to 80 percent are catechins. A cup of green tea may contain 50 milligrams of catechins. The predominant catechin involved is epigallocatechin gallate (EGCG). Green tea contains about 20-45 milligrams of caffeine per cup. Caffeine is a significant item to consider when taking tea as a relaxing drink. Calorie content of green tea is just two calories per 8 fluid ounces of serving. The action of L-theanine increases the activity of the alpha brain waves. There are two significant phases of alpha brain waves during sleep. One, alpha brain wave activity is high during the state of mental relaxation. It is at this stage that the eyes may be closed but not sleeping and at the ultimate form of non-stress. Second, alpha brain wave is high during the rapid eye movement (REM) state. REM sleep is the most crucial phase of sleep and the more profound the REM state, the better quality of sleep. Increasing the state of alpha brain waves through L-theanine induces relaxation and sleep. Another manner by which L-theanine induces sleep is its effect on the inhibitory or anti-anxiety neurotransmitter, GABA (gamma-aminobutyric acid). The presence and efficiency of GABA lead to a better quality of sleep. L-theanine helps in increasing the positive effect of GABA, by slowing down the sympathetic nervous ﻿system activation. In contrast, overstimulation of the sympathetic nervous system leads to anxiety and stress. Since L-theanine slows down the sympathetic nervous system activation, this counters the effect of caffeine. Green tea contains a trace of caffeine, and the L-theanine content helps in reducing its stimulant action. Both EGCG and caffeine produce a synergistic effect in breaking down the fat cells. These two components plus regular exercises will result in effective weight loss management. 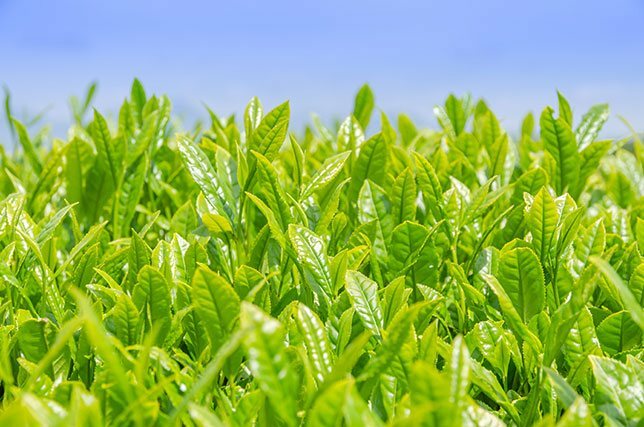 In a recent study by the University of Basel of Switzerland, it showed that green tea has the capability of increasing the connection between the parietal and frontal cortex of the brain. This connectivity produced improvement in cognitive performance and enhanced working memory. Green tea consumption is associated with mental health-being, this is according to a study by the American Journal of Clinical Nutrition. Frequent use of green tea in the study population showed a lesser incidence of depressive symptoms. Green tea is beneficial to oral health. It contains a trace of fluoride which contributes to the anti-caries effect. Also, the catechins act as a protector of the periodontal ligament against the etiologic elements of periodontal disease. 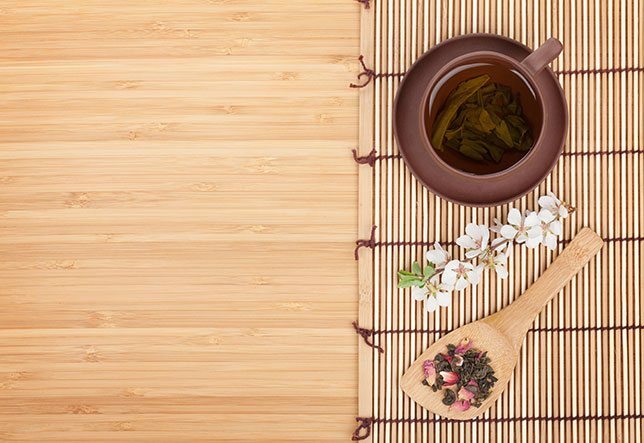 The anti-oxidant properties of green tea are believed to be anti-carcinogenic. The predominant polyphenols such as EGCG also induces the synergistic effect of anti-cancer drugs. Catechin content in green tea is higher than in black tea. These catechins inhibit tumor cell proliferation and protect cells from DNA damage. Too much alcohol consumption can lead to liver toxicity. Green tea, particularly matcha, can help protect the liver from alcohol and manage hangovers. It is recommended to drink matcha green tea before and after the party. It may not be typical, but green tea can be used for the face. You can use tea as an ingredient of facial masks. It heals blemishes and scars and reduces inflammation due to acne. The tea also reduces dark circles around the eyes and even puffiness. So, do not throw those used tea bags immediately. You can minimize puffiness by putting cold tea bags around the eyes. There is a low risk of side effects from green tea. Since it is a natural form of drink, there are minimal side effects except if taken in large quantities. Due to its caffeine content, it is best to consume the one with the least amount of caffeine. Although as explained above, L-theanine contradicts the stimulating effect of caffeine. Some green tea supplements such as capsules and tablets are not regulated by the US Food and Drug Administration so caution on these items must be taken. They may contain other substances that are unsafe for public consumption. Pregnant women are also not advised to take these supplements. As with any medications, consult your doctor before proceeding to take these supplements. 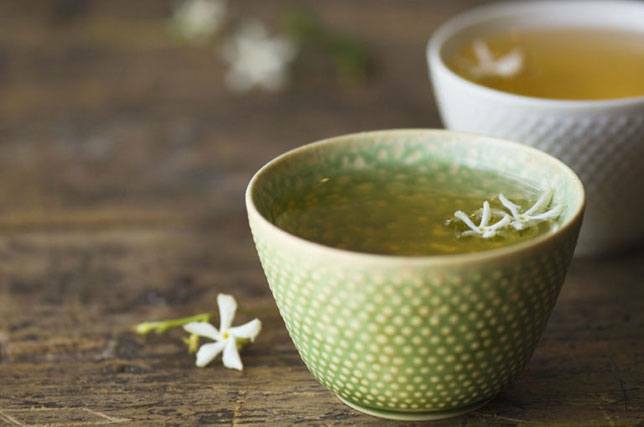 Below are two methods of preparing green tea, one for those who would want their drink to be warm, or a variant of iced tea that would help before bedtime. Brewing time directly affects the amount of L-theanine extracted. The ideal temperature of the water for green tea is 180 degrees Fahrenheit or 82 degrees Centigrade. Green tea is best consumed in its pure and unadulterated state. When brewing green tea, it is best that the boiled water be rested for about ten minutes before steeping. The high temperature is capable of destroying the catechins. 1. In a kettle or saucepan, boil the water until it simmers. 2. Remove from heat when it simmers and let it rest for 5 minutes. 3. Pour the rested boiled water in a cup or mug with the green tea bag. 4. Steep the tea for about five minutes or until your desired taste and strength. 5. Remove the tea bag and add your options as mentioned in #6. 6. Optional: Add mint, ginger, honey, or lemon, as desired. Lemon slices may also be added. 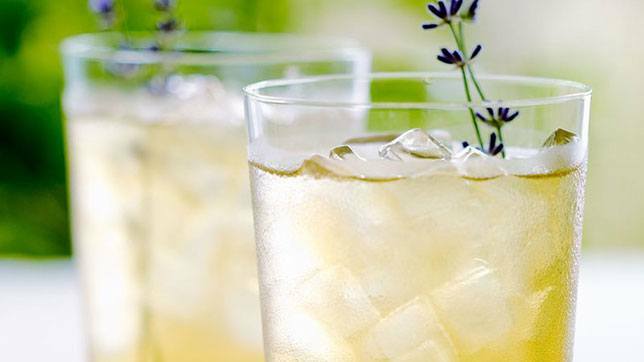 This combination of green tea and lavender will provide a relaxing drink before bedtime. Lavender has relaxing effects as well as good for hair loss. You will not only be relaxed by this drink but might even help you in preserving your hair volume. 1. In a saucepan, heat the water and wait for it to simmer. 2. When it simmers, remove the pan from the heat and add tea and lavender. 3. Steep the mixture for about 5 minutes, more if you want a stronger taste. 4. After the desired time of steep, strain into a container and let cool. 5. Pour the mixture into glasses half filled with ice. 6. Decorate with sprigs of lavender, if desired. You may also refer to the video below on how to prepare green tea. Drinking a cup of green tea before bedtime can provide a relaxing and destressing effect. The action of L-theanine increases alpha brain waves and works with GABA to induce sleep. It also counters the effect of caffeine since it slows down the activation of the sympathetic nervous system. Furthermore, the relaxing effect of the beverage may be produced by the synergistic actions of L-theanine and polyphenols such as ECGC. The most significant catechins of green tea are EGCG. A cup of green tea with 50 milligrams of L-theanine is enough to induce relaxation and sleep. 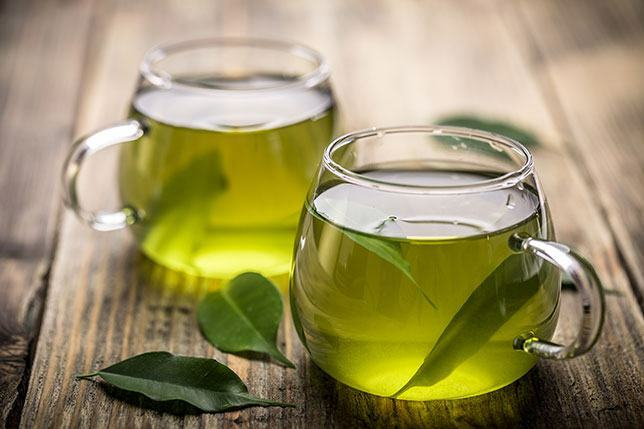 Drinking 2-3 cups of green tea daily may heighten the benefits aside from reducing risk factors for Alzheimer's disease, cardiovascular diseases, and diabetes. I hope I was able to provide a helpful guide on selecting and preparing green tea that can help you relax and go to sleep. Any comments or feedback are much welcome. What Is the Best Teatox of 2017?